TOGETHER, WE EXTEND A HELPING HAND TO THOSE IN CRISIS SO THEY CAN OVERCOME FORMIDABLE OBSTACLES. Over and over Jesus served people like this, embracing them. 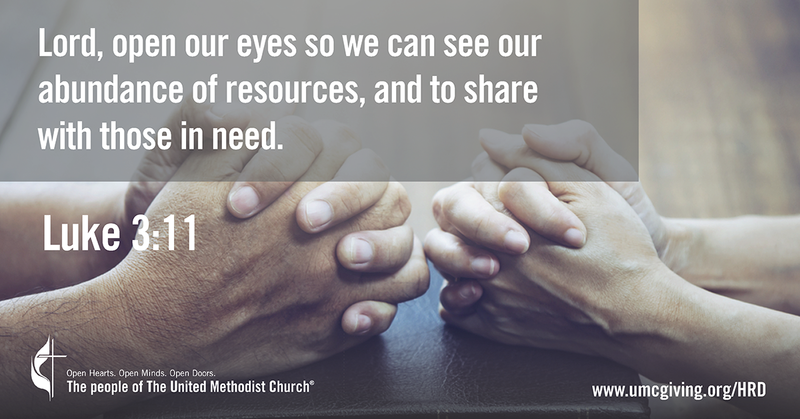 And that’s what we want to model as the people of The United Methodist Church. To continue the ministry of Jesus we established Human Relations Day as a Special Sunday that calls all of our churches to participate in helping all God’s children to realize their potential. Will You Support the Ministry of Christ Among Those on the Margins? Will you continue to support Human Relations Day? Will you continue nurturing at-risk youth, strengthening communities’ self-improvement efforts and advocating for the oppressed?